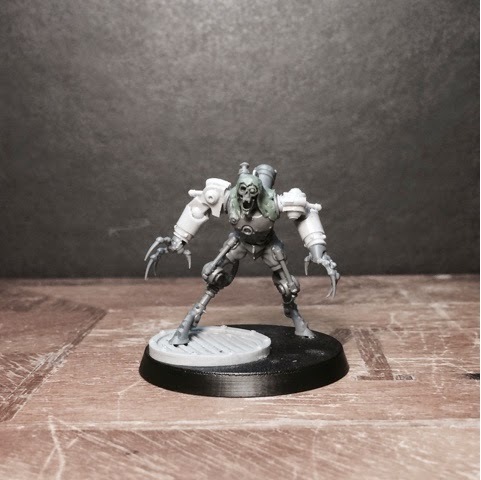 Here's my second take on the sicarians. 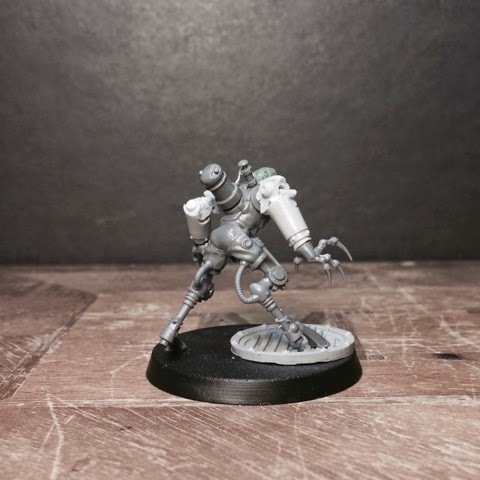 I call this chap the sinistro-pattern assassin servitor. 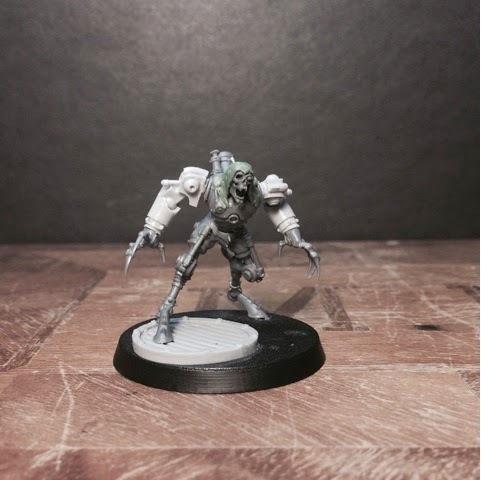 Apparently the few failed eversor prospects who still remain alive after the trials (though in smaller bits) get turned into these things. It is not a very nice creature at all. Where are those bulky upper arms from? Now that's an awesome looking assassin! I'm curious about the arms as well. The arms are from the thallax robots. It actually really reminds me of your Mhorrigot cultists. It does doesn't it? I was actually thinking of devoting it to mhorrigot for a while, bit I think I'll keep him imperial/mechanicvm. Mathew got there first. I thought it was perfect for them too. Imperial assassin will be super good too though. Good stuff! Haha! I'd forgotten about those! Nice reference! Yup. He does loads of pushups. He looks grim! I like him. Very nice Mechanicus warband by the way, I love the colour scheme. Nice! Excellent use of parts. Those thallax arms work really well.